Sybil Kisken practices employment and labor law, including all phases of trial and appellate litigation. In addition, she represents and advises schools and post-secondary institutions on various matters. She approaches each lawsuit or client question with both legal expertise and practical insight. Ms. Kisken has handled cases at all levels, including in Colorado’s state and federal district courts, the Colorado Court of Appeals, the Colorado Supreme Court, and the U.S. Court of Appeals for the Tenth Circuit. She also has filed briefs with the U.S. Supreme Court. She has been admitted to state and federal courts in other states on a pro hac vice basis. In addition to her extensive litigation experience, she advises clients regarding employment-related matters, including personnel policies, investigations, executive contracts, separation agreements, medical-related issues (including those involving the Americans with Disabilities Act and the Family and Medical Leave Act), as well as allegations of discrimination, harassment and retaliation. 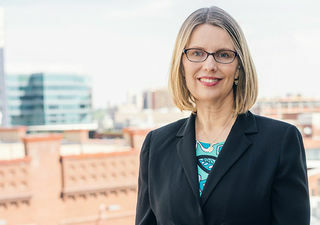 Ms. Kisken also advises on issues unique to governmental entities, including public sector employment law and constitutional claims (e.g., excessive force, First Amendment retaliation, etc.). Finally, Ms. Kisken advises on issues unique to schools and post-secondary institutions, including legal issues involving students and teachers/professors. Ms. Kisken received her B.A. from the University of Alaska-Fairbanks, where she was awarded the outstanding graduating senior woman award. She received her J.D. from the University of Arizona College of Law, tied for number one in her class, where she was an articles editor on the Arizona Law Review and received various awards, including the outstanding graduate award. Following law school, she was a law clerk for the Honorable Robert Boochever of the U.S. Court of Appeals for the Ninth Circuit. She was an instructor of law at the University of Miami School of Law, and an associate at the Washington, D.C. office of Akin Gump Strauss Hauer & Feld LLP. She moved to Denver in 1995 to be a Senior Trial Attorney with the Denver District Office of the U.S. Equal Employment Opportunity Commission. She then joined the Denver City Attorney’s Office in 1997, where she was ultimately promoted to be an Assistant Director of the Litigation Section. She joined DGS in 2006. Ms. Kisken has been selected for inclusion in The Best Lawyers in America© in the field of Arbitration. Ms. Kisken was named a “Labor and Employment Star – West” by Benchmark Litigation in 2019. Ms. Kisken is admitted to the U.S. Supreme Court, Supreme Court of the State of Colorado, Tenth Circuit Court of Appeals, and U.S. District Court for the District of Colorado. She also is admitted to practice law in Colorado, California (inactive), and the District of Columbia (inactive). Ms. Kisken served as a volunteer on the Board of Directors for the International School of Denver for 9 years, the last three of which she was the Board President. During her service on the Board, the school merged with another school that was failing, completed two multi-million dollar capital projects, increased enrollment from 125 to almost 650 students, and opened an International Baccalaureate middle school. She draws from this leadership and business experience in her pragmatic and zealous approach to advising and representing clients.